Ever wondered what Bundaberg hotspots would catch the eye of a Hollywood actor? Well look no further! Recently the charming Lincoln Lewis, who started out on Home & Away and is the son of NRL legend Wally Lewis, strolled into town looking for adventure. Arrive into Bundaberg and head straight to Bundaberg Rum for a boozy-good time. Take a behind-the-scenes tour of a true Australian icon (much like Lincoln) and hear from the friendliest bunch of distillers around. If you've always dreamed of crafting your own rum, spend some time with an expert and get blending! You can even have a sample...or two! Make your way to Zen Beach Retreat to check-in and relax after your day at the distillery. 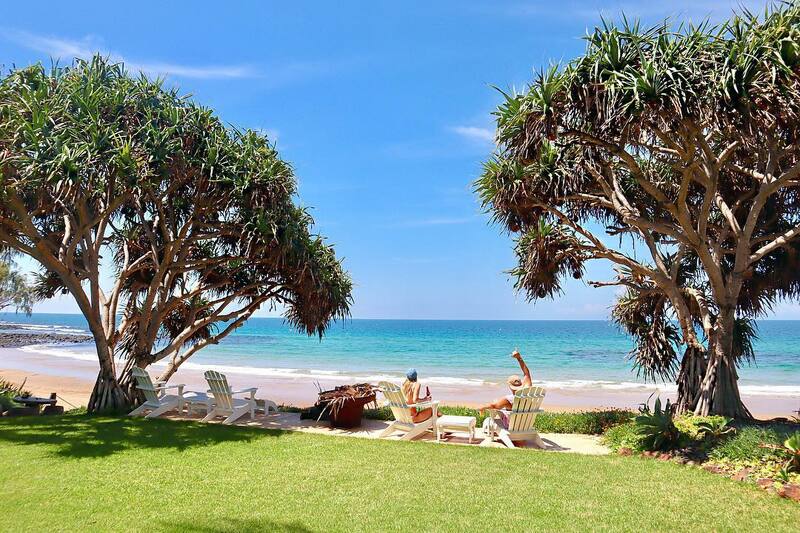 Hang out on the comfy lounges, with a drink of Bundaberg Rum in one-hand, and take in the amazing ocean views. Witness a miracle at the Mon Repos Nightly Turtle Encounter. See the spectacular sight of baby turtles hatching and scurrying into the ocean. It's an amazing experience and a night you'll never forget! Tick the Southern Great Barrier Reef off your bucket list and head out to Lady Musgrave Island for the day. If you're a thrill-seeker like Lincoln, jump off the back of the boat with a snorkel in-hand and get up close to some incredible marine wildlife. If you just can't get enough of the ocean, take a stroll along the Bargara esplanade and watch the sun go down over the water as you enjoy a bite to eat. Head to the Windmill Café for brekky, a local Bargara favourite. It's the perfect place to taste the region's fresh produce. If you're bit of a sweet-tooth, try their homemade gelato – yum! Check out Kalki Moon to taste all things gin and vodka. Take a behind-the-scenes tour with the distillers themselves and learn how their award-winning spirits are created. If you feel like trying something a bit unique, have a sip of their chilli vodka or pink gin with your free tasting! Head home and use this time to plan your next trip to the region!